Claude Lévi-Strauss believes in the beauty of the human nature as part of nature. Max Horkheimer and Theodor Adorno lost all the hope for the industrial development and said it has failed the promise of the Enlightment – it had corrupted humanity. Andrei Tarkovsky’s Stalke (Mosfilm, 1979) is taking sophisticated people into the Zone, where their deepest wishes may come true. 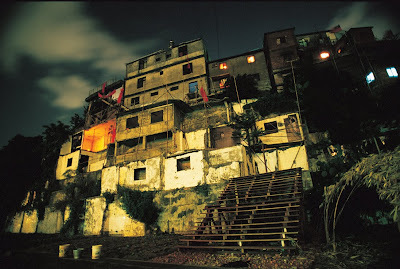 The Zone which is the organic ruin mirroring the surrounding mechanical reality. For the Strugatsky brothers (Arkady & Boris) the Zone was a Roadside Picnic. Missis Lee in the Gongguan community garden. 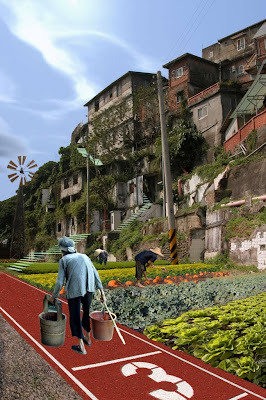 The community gardens of Taipei are Roadside Picnic. Grandmothers can take us there, like Stalker. 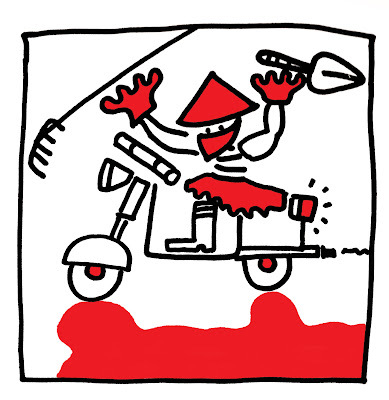 The honorable Lévi-Strauss could be happy to start new ethnographical research between the parallel realities of the cultures of the urban compost gardens and the surrounding city – the reversed modernization and focusing in Local Knowledge. 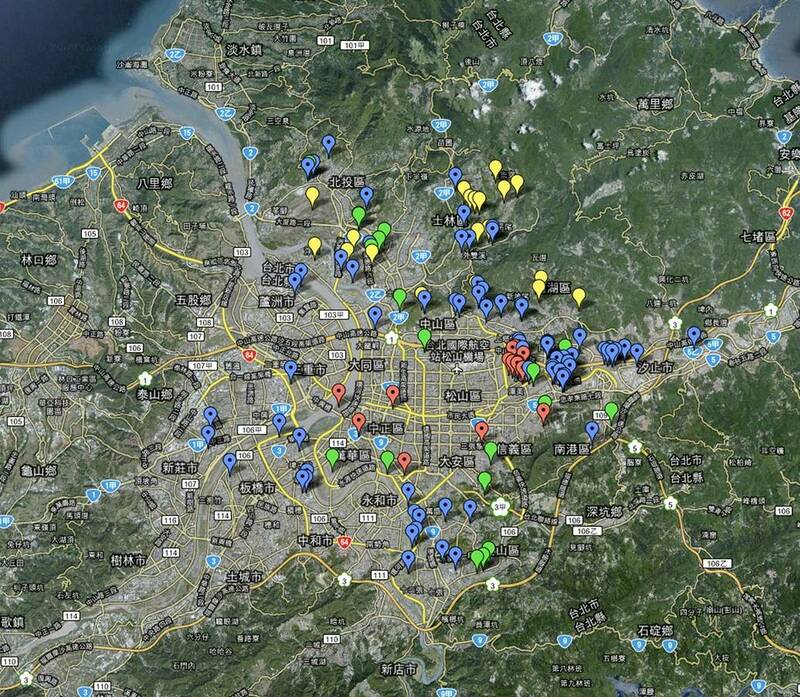 Horkheimers & Adorno’s graves should be moved in one of these urban acupuncture spots of Taipei. Here even they would find hope, surrounded by the valueless modernity and hard industrialism. 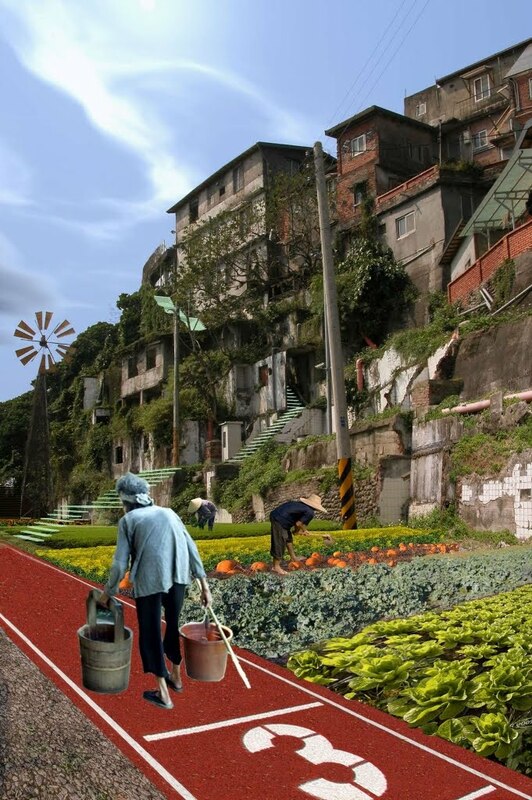 Prof. Jaakko Hämeen-Anttila has said: “The valueless void of the society of today will be filled with ethics: the corners are windy.” With the recognition of the urban farms and community gardens Taipei has found its corners. 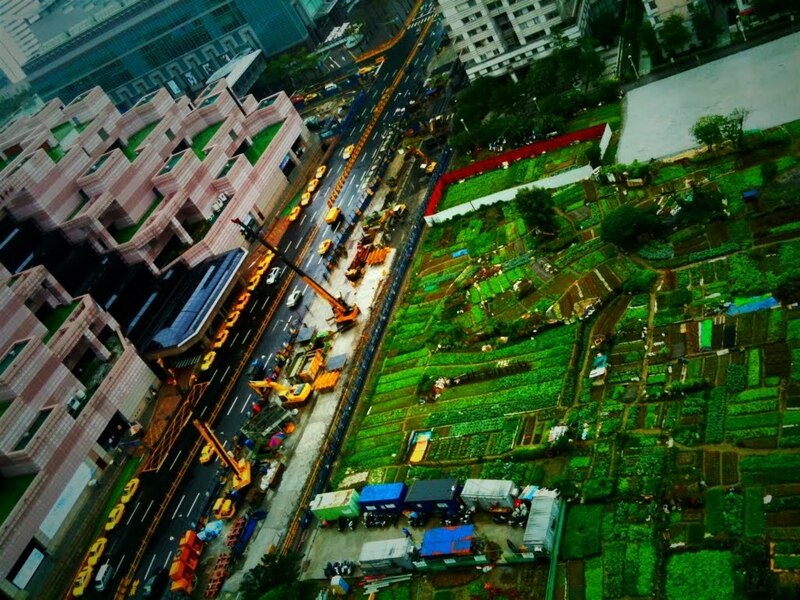 101 community garden in-between Taipei 101 and World Trade Center. Photo: Isis Kang. Treasure Hill in 2003. 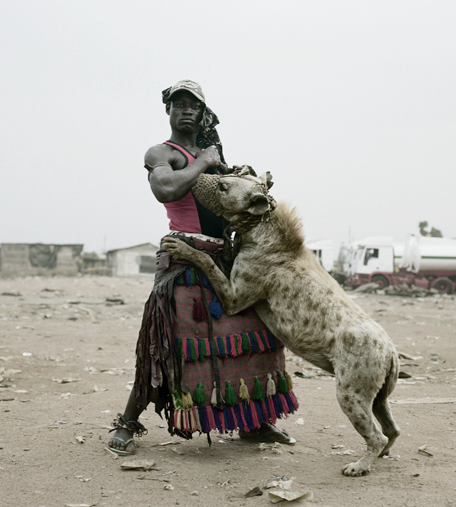 Photo: Stephen Wilde. 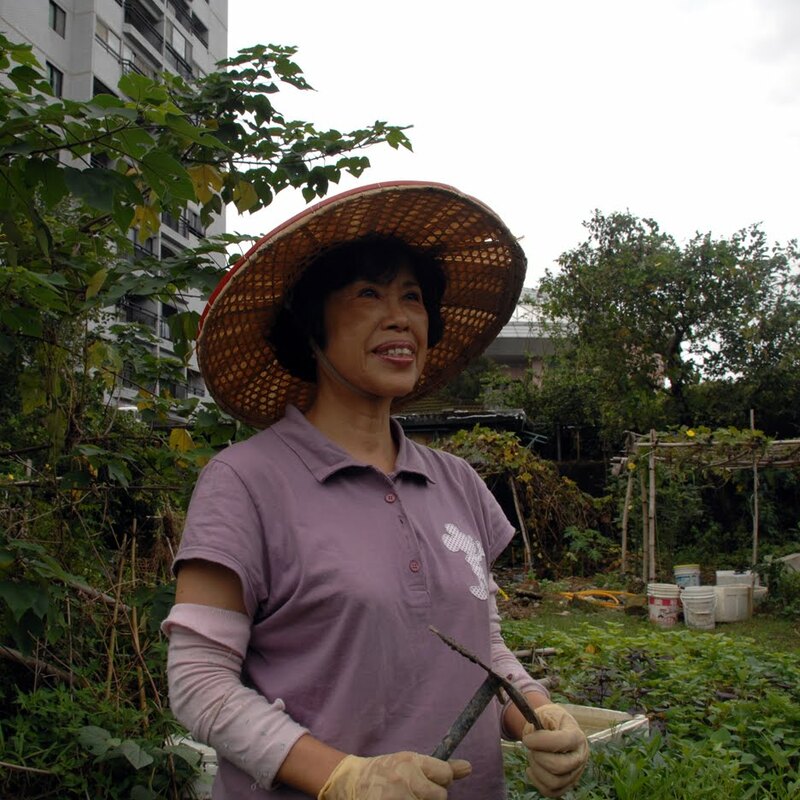 Missis Chen, the leader of the Treasure Hill urban farming community. 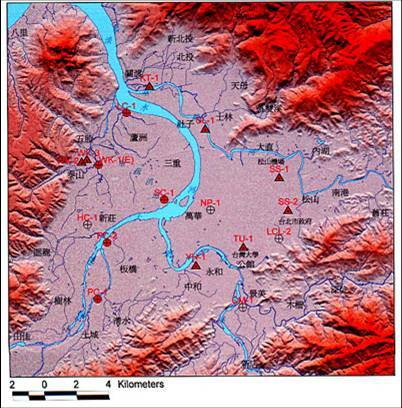 Taipei Basin – a river valley surrounded by mountains on three sides and opening up to the Pacific Ocean. The second generation city is the industrial city. Industrialism claimed the citizens independence from nature – a mechanical environment could provide human everything needed. Nature was seen as something un-necessary or as something hostile – it was walled away from the mechanical reality. The paper is based on independent Ruin Academy research (2010) in co-operation with the National Taiwan University Department of Sociology. Special thanks to Professors Yen-Fen Tseng and Chia-Ling Wu, to RA researchers Frank Chen and Yu-Chen Chiu, to Project Manager Nikita Wu and for Roan Ching-Yueh and Hsieh Ying-Chun to keep the talk up. 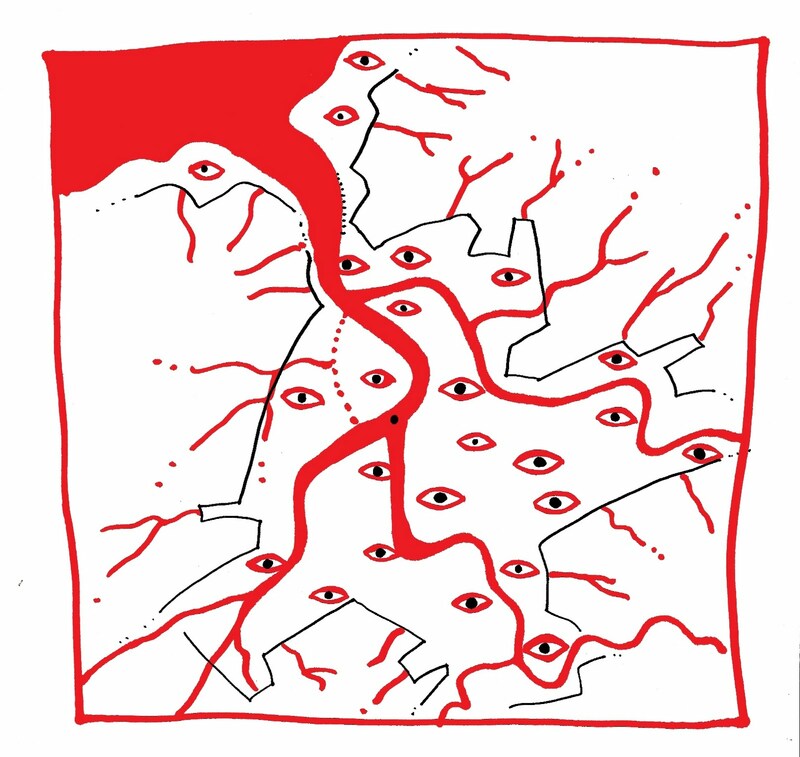 The Ruin Academy research is kindly supported by the JUT Foundation for Arts & Architecture.